Front row, left to right - J. Tyrwhitt, N.Cross, Howard Proctor MGR, A. Irvine, G. Scott, L. Mowat, A. Amos, G. Suckling, G. Fitch, J. Duncan, Aubrey Tennant Mascot. 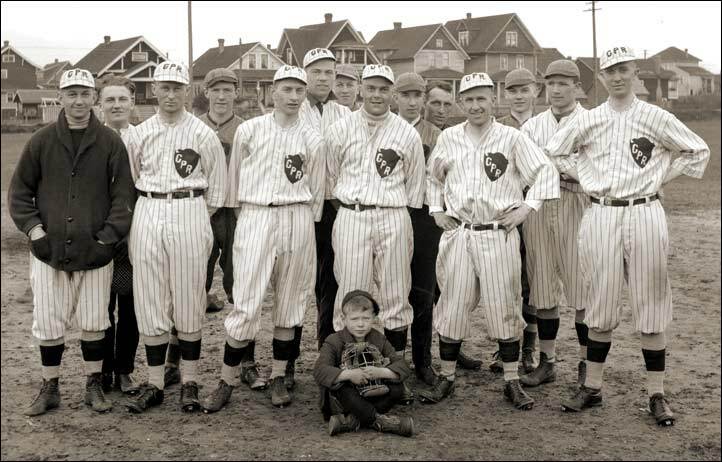 The two players in the back row were not identified. Front row, left to right - Unknown, G. Suckling, A. Amos, G. Scott, Howard Proctor MGR, G. Fitch. In the back rows - between Amos & Scott in the CPR hat is A. Irvine. Others, Unknown.